decide what they think of your company. Suite of electronic platforms connected seamlessly and securely to set up your surveys. Enabled for iPad, iPhone, tablet and website. Trigger alerts to give you an instant heads up to address an issue with your customer right away. Data analytics to equip you with insights to develop a closer connection with your customers. Build survey questions and establish the platforms. 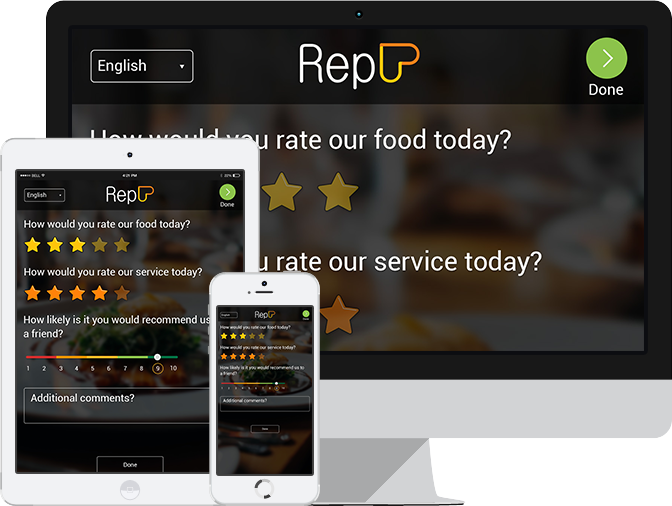 Real time feedback responses from both customers and frontline employees. Managers gets notified with trigger alert features and receive automated reports with analytics. for business of all sizes. We want to grow and scale with you. Easy to use software designed for companies of all sizes. Set triggers in SMS, e-mails and dashboard monitor based on criteria to receive real time alerts. Available online and offline mode, where results can be saved and sync whenever it gets connected to the internet. Turn feedback from customer into a task for a follow up in an organized system. Produces industry standard reports with analysis on results, respondents, and employees. Vouchers and discounts can be issued with unique ID which is hidden behind a QR code. KYC better through creating a database to retain and organize key customer feedback and information. Get to know us better with a demo.